Christmas season decoration clean up for our cemeteries and lots will begin on January 15, at all Albany Diocesan Cemeteries. Lot owners are requested to remove any Christmas decorations they wish to save before January 15th. Fresh cut flowers in an approved vase are always permitted provided they are in good condition. Also any non-Christmas/seasonal decoration may be left providing the decoration is in accordance with the current Cemetery Rules and Regulations. All other decorations will be removed during the cleanup. The cleanup of all cemeteries takes some time, and depending on weather and the number of burials, may take a week to complete. During the cleanups, cemetery staff removes and discards all items from graves. Grounds staff are instructed to leave any permitted non-Christmas/seasonal decoration that appears to be newly placed. Of course, this is a judgment call for our staff, so it is better to wait until after the cleanup to place decorations. 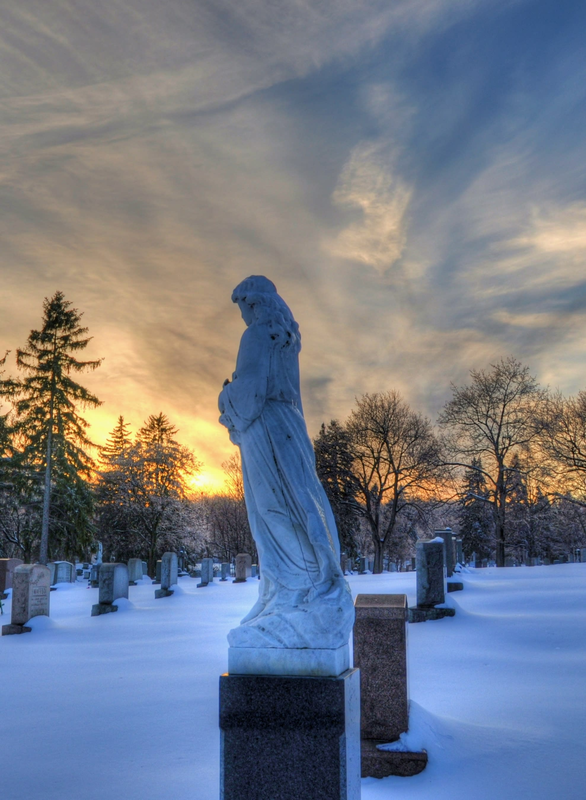 Items placed in violation of cemetery rules and regulations or in disrepair may be removed and discarded at any time. Download a PDF document with more information regarding our cemeteries decoration regulations. Thank you for helping to keep our cemeteries beautiful!